The Nicaraguan Revolution ( Spanish: Revolución Nicaragüense or Revolución Popular Sandinista) encompassed the rising opposition to the Somoza dictatorship in the 1960s and 1970s, the campaign led by the Sandinista National Liberation Front (FSLN) to violently oust the dictatorship in 1978–79, the subsequent efforts of the FSLN to govern Nicaragua from 1979 until 1990  and the Contra War which was waged between the FSLN-led government of Nicaragua and the United States-backed Contras from 1981-1990. The Contra War ended after the signing of the Tela Accord in 1989 and the demobilization of the FSLN and Contra armies. A second election in 1990 resulted in the election of a majority of anti-Sandinista parties and the FSLN handing over power. By the 1970s the coalition of students, farmers, businesses, churches, and a small percentage of Marxists was strong enough to launch a military effort against the regime of longtime dictator Anastasio Somoza Debayle. The FSLN focused on guerrilla tactics almost immediately, inspired by the campaigns of Fidel Castro and Ché Guevara. Penetrating the Northern coast of Nicaragua, the Río Coco/Bocay-Raití campaign was largely a failure: "when guerrillas did encounter the National Guard, they had to retreat…with heavy losses." Further operations included a devastating loss near the city of Matagalpa, during which Mayorga was killed, which led Amador to a "prolonged period of reflection, self-criticism and ideological debate." During this time, the FSLN reduced attacks, instead focusing on solidifying the organization as a whole. By June 1979 the FSLN controlled all of the country except the capital, and on 17 July President Somoza resigned and the FSLN entered Managua,  giving full control of the government to the revolutionary movements. Economic reforms overall needed to rescue out of limbo the inefficient and helpless Nicaraguan economy. As a " third-world" country, Nicaragua had, and has, an agriculture-based economy, undeveloped and susceptible to the flow of market prices for its agricultural goods, such as coffee and cotton. The Revolution faced a rural economy well behind in technology and, at the same time, devastated by the guerrilla warfare and the soon to come civil war against the Contras. 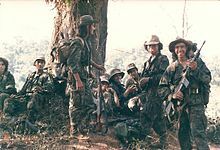 By 1982 Contra forces had begun carrying out assassinations of members of the Nicaraguan government, and by 1983 the Contras had launched a major offensive and the CIA was helping them to plant mines in Nicaragua's harbors to prevent foreign weapons shipments from arriving. The 1987 Iran–Contra affair placed the Reagan Administration again at the center of secret support for the Contras. Daniel Ortega was sworn in as the first term of President on January 10, 1985. In May 1986, a summit meeting, "Esquipulas I," took place, attended by the five Central American presidents. On February 15, 1987, Costa Rican President Óscar Arias submitted a Peace Plan which evolved[ clarification needed] from this meeting. During 1986 and 1987, the "Esquipulas Process" was established, in which the Central American heads of state agreed on economic cooperation and a framework for peaceful conflict resolution. The "Esquipulas II Accord" emerged from this and was signed in Guatemala City by the five presidents on August 7, 1987. ^ "CIA-Contra-Crack Cocaine Controversy". Retrieved 10 April 2015. ^ "Reagan Says Saudi Talked Of Contra Aid". tribunedigital-chicagotribune. Retrieved 10 April 2015. ^ "Saudi Arabia and the Reagan Doctrine - Middle East Research and Information Project". Retrieved 10 April 2015. ^ "The Pinochet File". Retrieved 10 April 2015. ^ "The Contras, Cocaine, and Covert Operations". Retrieved 10 April 2015. ^ a b c d e "Understanding the Iran-Contra Affairs". www.brown.edu. Retrieved 2017-04-09. ^ "The Soviet Union and Revolutionary Warfare: Principles, Practices, and ..." Retrieved 10 April 2015. ^ Report of the Congressional Committees Investigating the Iran/Contra Affair, 1995. Page 27. ^ "The Soviet Union and Revolutionary Warfare: Principles, Practices, and..." Retrieved 10 April 2015. ^ "Mexico's Support of the Sandinista Revolution". Universidad Michoacana de San Nicolás de Hidalgo. ^ a b Lacina, Bethany. "The PRIO Battle Deaths Dataset, 1946-2008, Version 3.0: Documentation of Coding Decisions" (PDF). International Peace Research Institute, Oslo. Retrieved 5 August 2013. ^ Louis Proyect, Nicaragua, discusses, among other things, the reforms and the degree to which socialism was intended or achieved. ^ "Taking Care of Business in Nicaragua". Retrieved 10 April 2015. ^ Baracco, Luciano (2005). Nicaragua: The Imagining of a Nation - From Nineteenth-Century Liberals to Twentieth-Century Sandinistas. New York, NY: Algora Publishing. p. 61. ^ Baracco, Luciano (2005). Nicaragua: The Imagining of a Nation - From Nineteenth-Century Liberals to Twentieth-Century Sandinistas. New York, NY: Algora Publishing. p. 66. ^ Baracco, Luciano (2005). Nicaragua: The Imagining of a Nation - From Nineteenth-Century Liberals to Twentieth-Century Sandinistas. New York, NY: Algora Publishing. p. 67. ^ SOLÁ MONSERRAT, Roser. "Geografía y Estructura Económicas de Nicaragua" (Nicaragua's Geography and Economical Structure). Universidad Centroamericana. Managua, Nicaragua, 1989. Second Edition. ^ a b c "Agrarian Productive Structure in Nicaragua", SOLÁ MONSERRAT, Roser. 1989. Pag 69 and ss. ^ Louis Proyect, Nicaragua, about 4/5 of the way down. ^ Hanemann, Ulrike. "Nicaragua's Literacy Campaign". UNESCO. Archived from the original (DOC) on 2007-07-03. Retrieved 2007-07-02. ^ B. Arrien, Juan. "Literacy in Nicaragua" (PDF). UNESCO. Retrieved 2007-08-01. ^ a b c L., Melanie. "The Sandinista War on Human Rights". The Heritage Foundation. Retrieved 2017-04-09. ^ Russell, George (1983-10-17). "Nicaragua: Nothing Will Stop This Revolution". Time. ISSN 0040-781X. Retrieved 2017-04-11. ^ L., Melanie. "The Sandinista War on Human Rights". The Heritage Foundation. Retrieved 2017-04-11. ^ "LEY DEL SERVICIO MILITAR PATRIÓTICO". legislacion.asamblea.gob.ni. Retrieved 2018-05-20. ^ McManus, Doyle; Toth, Robert C. (5 March 1985). "Setback for Contras: CIA Mining of Harbors 'a Fiasco'", Last in a series". L.A. Times. ^ "BBC ON THIS DAY-5-1984: Sandinistas claim election victory". Retrieved 10 April 2015. ^ a b "Paradoxes from an heterogeneous and fragile electoral Alliance", CAJINA, Roberto, Pag. 44 and ss. David Close, Salvador Marti Puig & Shelley McConnell (2010) "The Sandinistas and Nicaragua, 1979-2009" NY: Lynne Rienner. Schmidli, William Michael, "'The Most Sophisticated Intervention We Have Seen': The Carter Administration and the Nicaraguan Crisis, 1978–1979," Diplomacy and Statecraft, (2012) 23#1 pp 66–86. Teixera, Ib. "Nicarágua: A Norte de um pais." Manchete ( Rio de Janeiro). July 7, 1979.